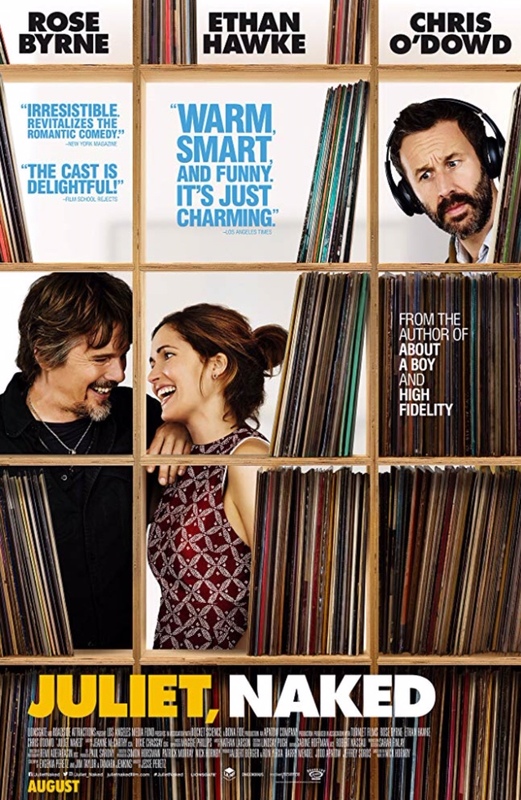 Oh, goodie, another fun little movie that got its life from the pages of a Nick Hornby novel. Juliet, Naked starts out about music and some eccentric little people who center their lives around it, yes, those of you forever fans of High Fidelity. There once was this rocker by the name of Tucker Crowe who put out this 1990s album titled Juliet and the disappeared. A pop scholar by the name of Duncan Thomson, he wouldn’t let the adoration for the songs or the musician go, running a website from the house he shares with girlfriend Annie Platt in Sandcliff, England. One day the demo from Juliet arrives in an envelope, sent to Duncan by the old record company. Annie, somewhat sick of the fandom, and, truth be known, the aging pop culture professor behind all of it, posts a scathing review of said demo on Duncan’s website. Long missing rocker reads said review and sends email of agreement to Annie. What grows between them in this movie directed by Jesse Perez from a screenplay by Evgenia Perez, Jim Taylor and Tamara Jenkins is unlikely, surprising to both of them, and heartwarming to anybody with a heart for this kind of sneaky little tale that has its share of ups and downs for any sort of meeting in the middle. The main players all embrace their roles with the right amount of pluck and pining. Chris O’Dowd is in turn silly and stupid and superior as the pop-infected oaf Duncan. Rose Byrne is satisfying and generous and wise as Annie. 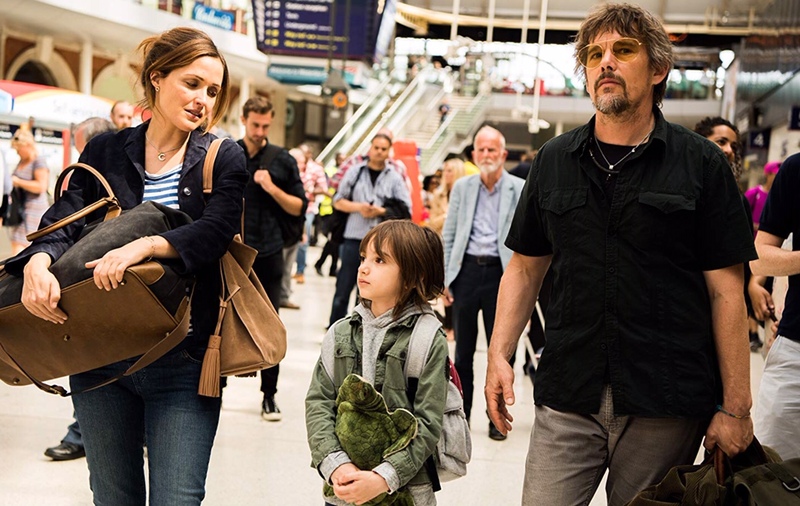 Ethan Hawke seems to discover something new about his old dog of a dad and musician as he talks out his life with his new friend. And Azhy Robertson is a delight as Jackson, the only kid of Tucker’s worldwide brood who’s had his attention from the start. That they all have some sort of knowledge to offer each other by the finish is one of the movie’s best traits. You’d dig it, I think, MBC. One of my joys these days is unearthing these unexpected pleasures in our library movie collection, Beth.